Norma L. (Wyrus) Mullen, 85, of Manchester, beloved wife for 52 years of the late William F. Mullen, passed away Monday, March 18, 2019. She was born on November 29, 1933 in Brockton, Massachusetts, daughter of the late Harold and Harriett (Stetson) Wyrus. Norma moved to CT at age 7. She lived in East Hartford, Hartford and settled in Manchester in 1944. She graduated from MHS in 1951. She worked as a waitress at Shady Glen and The Clam Box of Wethersfield. Norma fulfilled her dream of college when she graduated from MCC in 1978 and 1980. Her Early Childhood Education degree led to a job at Manchester Early Learning Center. When she and Bill moved to Spring Hill, Florida in 1985, she taught at Holy Cross Lutheran Day Care and Pre-School. Health concerns brought them back to Manchester in 2004 to be near family. Their love for travel took them to Europe in ’80,’83 and ’93; Alaska in ’96; the Southwest States ’98; Northwest and Canada’01. They saw 49 of the 50 states. Norma is survived by her five children; William M. Haberern and his wife Susan of Bonita Springs, FL, Betty Ann Smith and her husband Reed of Houston, TX. John Haberern and his wife Althea of Litchfield, Ronald E. Mullen of Coventry and Sara Donlon and her husband Thomas of Columbia; 2 step-sons Reverend David Mullen and his wife Marsha and Jeffrey F. Mullen and his wife Linda all of Manchester; her sister Nancy House and her husband R. Daniel House of Manchester; 15 grandchildren, 1.5 great grandchildren, 2 nephews and her very special niece Sheri Hemmavanh. 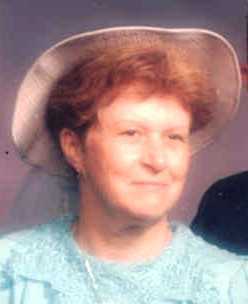 In addition to her husband and parents Norma was predeceased by her daughter Carolyn J. Merkle. Private services were held in East Cemetery, Manchester. There were no calling hours. Memorial contributions may be made to Masonicare Hospice of Wallingford. To leave an online condolence please visit www.holmeswatkins.com.